​Yes You are MORE than enough! "Can I do this? ", "Am I enough?" Do you feel that something is always stopping you from being your BEST self? 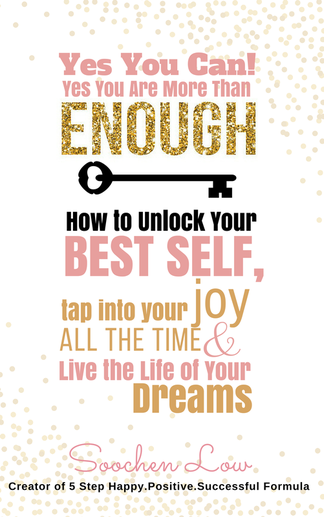 Would you like to unlock your BEST, 100% confident self so that you can finally create & live the life of your dreams? Then my bestselling Ebook on my Joy Campus is your answer!! Yes You are MORE than Enough! This book is the foundation of all Soochen's Joy Programs. To invest in Joy Programs, the values range from $4000 to $30,000. Happily, your investment is only $27! !